On the occasion of Hanuman Jayanti, the 11th blood donation camp was organized by the Competent Foundation which collected around 300 units of blood today. The mega event was held at Competent Group based in industrial area, Phase 7, Mohali. It was inaugurated by the senior leader of Shiromani Akali Dal, Balwant Singh Ramoowalia who is also known as crusader of helpless NRIs in Punjab. 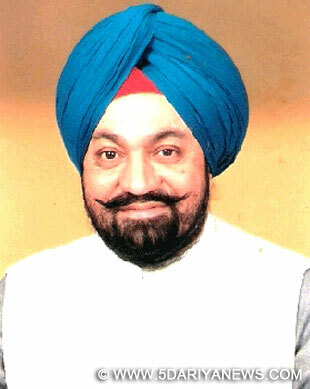 The MP candidate, Shiromani Akali Dal, Prof Prem Singh Chandumajra who was expected to reach could not come due to his prior commitments for the ongoing election campaign. But his son Simaranjit Singh Chandumajra came to grace the occasion. The BJP’s State President, Chandigarh and Chairman of Competent Group, Sanjay Tandon said, “We oraganise blood donation camps from time to time to provide the access to safe blood to the needy patients. In the past ten such camps were held where the foundation has a record of collecting 3068 units of blood which were donated to PGI and GMCH, Chandigarh”.As many as1,000 persons including staff members and other well-wishers attended that camp and 347 volunteered to donate the blood for a noble cause today. To manage the camp, a professional team of 20 doctors from Blood Transfusion department, PGI headed by Dr Suchet Sachdev had come. Taking up the Corporate Social Responsibility, Competent Group had formed a charitable Society Competent Foundation in 2006. The foundation has undertaken various philanthropic projects including organizing weekly Langars, medical camps, and providing free education to underprivileged section. The Competent group handles businesses of Call Centre, stock brokerage, commodity brokerage, Insurance brokerage, audit and financial consultancy.